Even if rookie running back Dalvin Cook is lost for the season, the Vikings could get something of a consolation prize on Monday. The Vikings will find out Monday morning if their fears about Dalvin Cook’s ACL are confirmed, when the running back undergoes a MRI on his left knee. But even if the rookie running back is lost for the season, the Vikings could get something of a consolation prize on Monday. 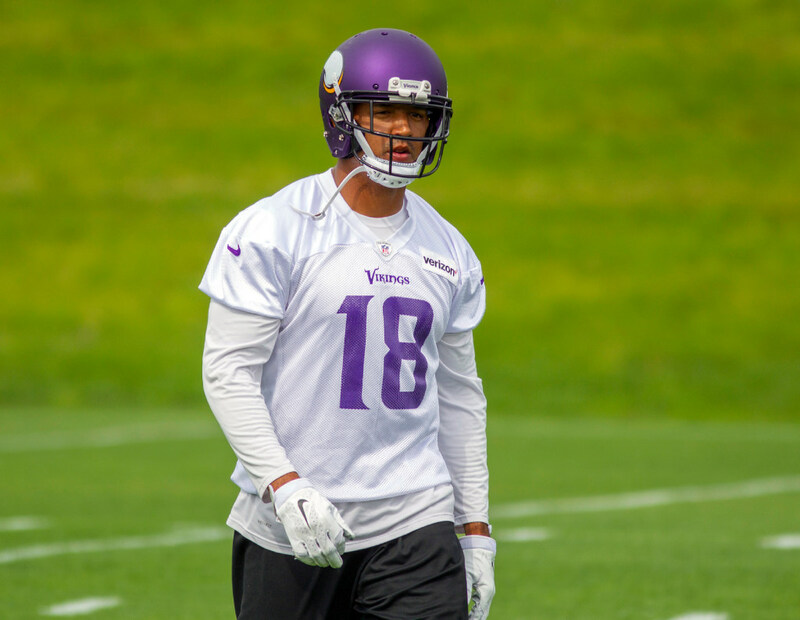 Wide receiver Michael Floyd is due to come back from his four-game suspension on Monday; he’ll be able to start practicing when the team gets back on the field Thursday, and he can play his first regular-season game with the Vikings on Monday night in Chicago. Given the optimism they expressed about Floyd in the preseason, and given the role they envisioned for him when they signed him to a one-year deal this spring, it would be surprising if the Vikings didn’t put the St. Paul native in their lineup relatively quickly. What that means for several other Vikings receivers, though, remains to be seen. The Vikings have had just four receivers active for their last two games, as they’ve opted to keep a third tight end (Blake Bell) on their 46-man active roster. Rookies Rodney Adams and Stacy Coley have both been inactive the past two games; Coley has been active just once this year, while Adams hasn’t dressed for a game yet. The Vikings will be able to clear a roster spot for Floyd if Cook’s MRI confirms a torn ACL and he is placed on injured reserve, but it’s also likely the team would make an addition at the running back position, possibly by bringing up Bronson Hill from the practice squad. If the Vikings are only going to dress four receivers for some games, it’s worth wondering how many they’d deem it necessary to keep on their 53-man roster. There’s also the question of what Floyd’s return would mean for several receivers who have been dressing for games, most notably Laquon Treadwell. The 2016 first-rounder went without a catch on Sunday, when he was unable to come down with either of the jump balls Case Keenum threw to him. Treadwell said he was pulled down by Lions defensive back Glover Quin on the first of the two throws, though it appeared the receiver might have jumped early. In any case, he’s got only five catches and 10 targets in four games, and while he’s still likely to get playing time, his odds of carving out a consistent role in the offense might be a little slimmer with Floyd returning. The 27-year-old excelled as a deep threat in Arizona, and was expected to bring a downfield element to the Vikings’ offense (though Adam Thielen and Stefon Diggs have filled that role quite admirably). A three-receiver set of Thielen, Diggs and Floyd could give the Vikings plenty of dynamic options, which might come just in time with Cook possibly lost for the season and Sam Bradford’s health still in limbo. An inconsistent offense likely won’t be permanently set on a higher plane with Floyd coming back, but his return certainly can’t hurt.